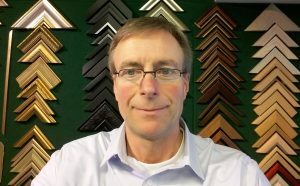 I have been involved within the fine art and framing business most of my life. Having moved from Lincoln to Leicester in 1986, I spent several years in our workshops framing and restoring pictures and frames, gaining a huge amount of experience and knowledge, while gaining business qualifications at De Montfort University. I now spend most of my time “on the shop floor” helping and advising customers on their framing and art requirements. I also represent Gadsby’s at several consumer shows annually talking to people about art, art materials, and any difficulties they are experiencing with their art techniques.